The winner of the 2015 PG Award is Gareth Brian Miles, PhD, University of St Andrews. Study title: Human iPSC-derived motoneurons harbouring TARDBP or C9ORF72 ALS mutations are dysfunctional despite maintaining viability. Selected from 17 studies, the material is a breakthrough in developing new treatments for Amyotrophic Lateral Sclerosis (ALS). Dr. Miles demonstrated that MNs derived from iPSCs obtained from healthy individuals or patients harbouring TARDBP or C9ORF72 ALS-causing mutations are able to develop appropriate physiological properties. However, patient iPSC-derived MNs, independent of genotype, displayed an initial hyperexcitability followed by progressive loss of action potential output and synaptic activity. This work highlights new targets that could lead to new treatments for ALS. The awared study ‘Human iPSC-derived motoneurons harbouring TARDBP or C9ORF72 ALS mutations are dysfunctional despite maintaining viability’ was published in Nature communications. For an overview of the research of Gareth Brian Miles see research@stAndrews. 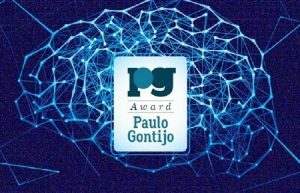 The PG award is an initiative of the Paulo Gontijo Institute to foster the research of young researchers around the world to promote the cure of ALS. The President of the PG Prize Award Committee, professor and doctor Mamede de Carvalho believes that this is the most important award of researchs in ALS. “The Paulo Gontijo Institute created a special recognition for young scientists. Over the years, the quality of work is increasing and the most striking findings are disclosed. The Paulo Gontijo Institute performs its role by promoting the highest quality research for the cure of this terrible disease,” he says. The author of the winning research will receive $ 20,000 and a gold medal during the 25th International Symposium on ALS / MND to be held in Orlando (USA) in December. The study results will be presented at the opening of the Symposium.